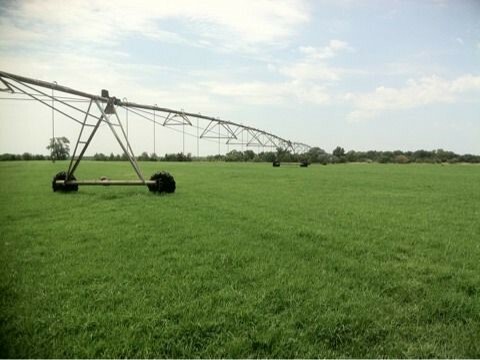 We provide a continuous supply of Tifton 85 small square bale bermudagrass hay, consistently with the highest digestible nutrients to satisfy horses nutrient requirements. We are a large hay farm located on the Red River in Denison, TX, producing Tifton 85 small square bale hay, We use extensive irrigation and fertilization, and cut when the Tifton 85 bermudagrass is still in the vegetative stage, to produce the hay with very high digestible nutrients meeting the horses' nutrient requirements. Please click the button below to learn more on our farm. Due to our high quality hay which includes increased amounts of digestible nutrients, we have helped our customers meet their horses’ nutrient requirements, and reduce their reliance on, and amounts of grain they need to feed. You can learn more about how to obtain a significant savings per month due to this reduction of grain requirements, by clicking on the button below.